Featuring seven dishes with hot, salty, fried kefalograviera cheese. The classic Greek dish of saganaki, featuring ingredients fried up in a small pan, is a hard one not to love. Especially in its most popular form: hot, salty, fried cheese. 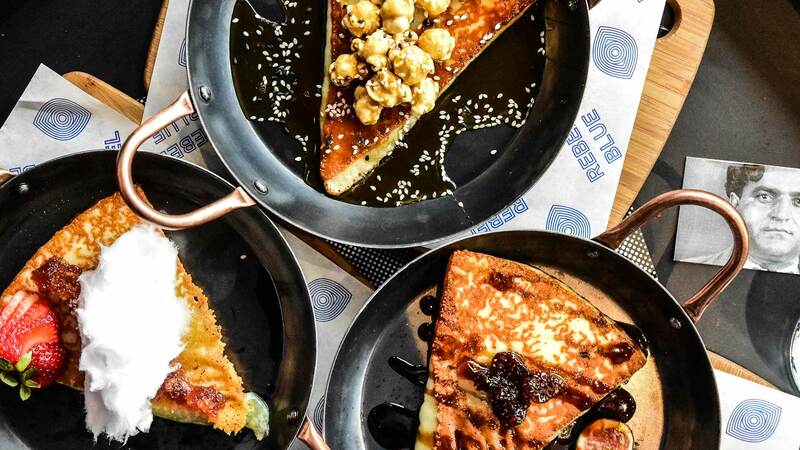 So we're forecasting plenty of visitors to Windsor's contemporary Greek spot Rebel Blue this month, when it celebrates the good stuff with a limited-edition month-long saganaki menu. Launching on Tuesday, February 12, and on offer for exactly one month, the 'Saganaki 9' lineup showcases a whole assortment of variations on the classic. And seven of the nine dishes hero cheese. We're talking crushed slow-roasted tomatoes fried with capsicum, prawns and feta, kefalograviera fried with fresh and candied figs, or the same firm Greek cheese cooked simply with a classic combination of lemon and oregano. Meanwhile, sweet-toothed diners are sure to be won over by the version teaming kefalograviera with fairy floss and quince, or matched with a decadent combo of salted caramel, sesame and popcorn. Best of all, your wallet will love this feast as much as your tastebuds, with all dishes priced between $14 and $16. With less than 12 months under its belt, Rebel Blue has earned itself quite the following for its innovative, yet thoughtful spin on modern Greek fare. Big flavours star throughout both the food menu and cocktail lineups, while the bright, blue-washed interiors nod to the eatery's namesake characters — a group of Greek troublemakers and toughs that called Melbourne home in the 1930s. We bet they'd be all over this month's saganaki menu. 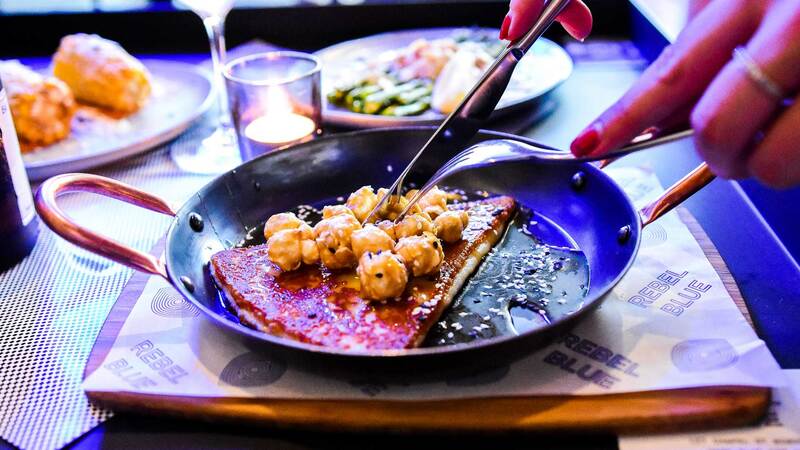 Get your saganaki fix at Rebel Blue, 127 Chapel St, Windsor. The new menu is available from February 12 until March 12.